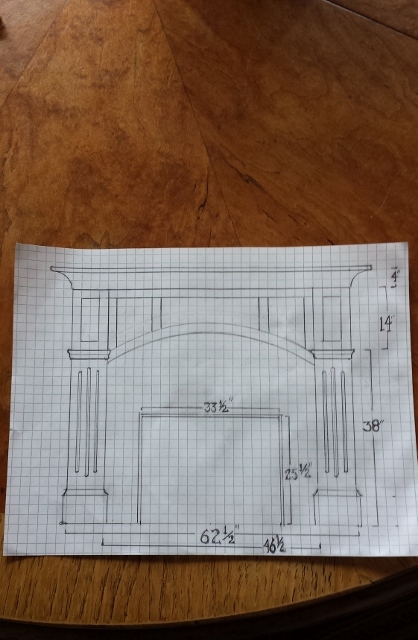 I'm putting a bid together for a client of mine and when we were discussing design, the idea of lowering the height of the existing fireplace surround came up. Is this something that is generally feasible to do, or is my time and effort better spent on other ideas? I had thought about packing out the wall above, but I'm hoping to leave the existing crown in tact. From an opening itself, what the minimum distance required to any finished wall like drywall? How about for gas fireplaces with the horizontal "non-combustible" stud or header? Looked to me to be full brick, but I don't know what tricks you masons use! Would full brick be veneered over block? I think you could get in there gently with an air chisel, if the homeowner insists that it be done. I would expect it to take too much time for a minor change. looks like a real masonry fire place. 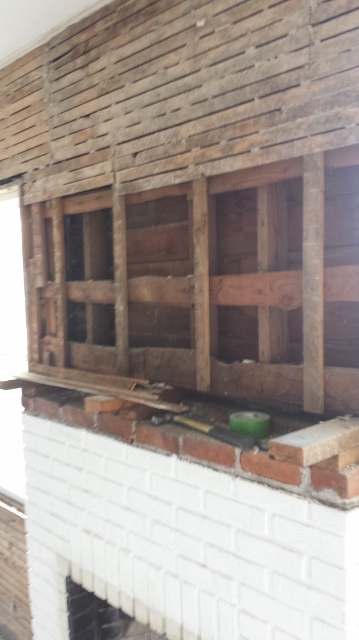 could easily be full brick over the block fireplace structure. 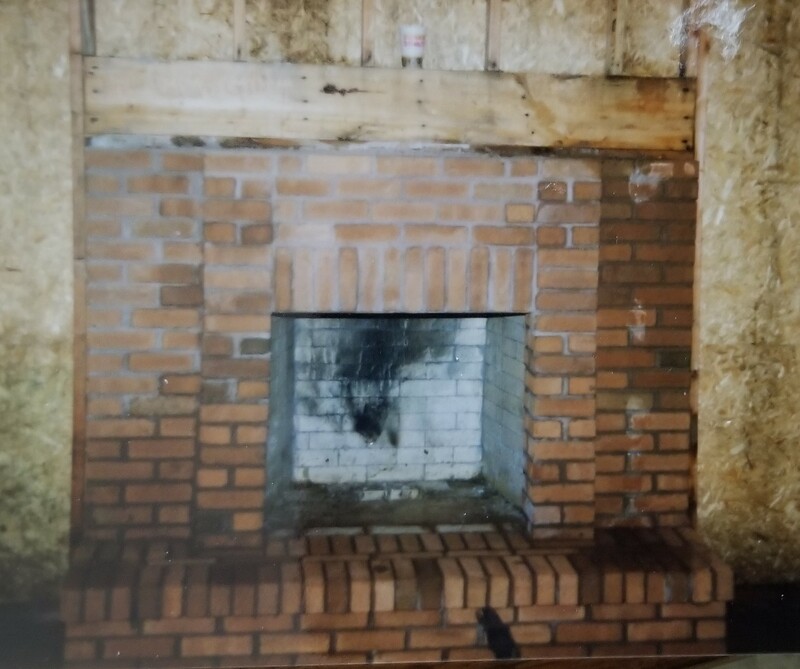 The face brick you see is simply a decorative face over the firebox consisting of the actual fireplace...Yes They are full size brick. Are you asking to remove the top part of the red Facebrick to lower it down, leaving the firebox untouched? Like this? Last edited by Windycity; 12-15-2018 at 06:00 PM. This one is only 30 years old, I bet there's fewer surprises with your project though! Take note how high the damper is, usually not good to get down to close to that area, or a couple courses above the top of it. Probably cheaper to demo and do over. I don't think there would be enough masonry between the fire and the wood framing/mantel if two or three course were demoed IMO. I'd review Vestal's masonry firebox minimums prior to reducing any masonry coursing or increasing any heat exposure to combustibles. The dampener appears to be a course or two higher then needed, making it harder to safely lower the mantel. AS poorly built as the visible portion is, I'd definitely do fiber optic inspection of the flues and any possible cracks hidden by the house walls where the chimney joggs over. Before spending ANY $. Last edited by Fouthgeneration; 04-14-2019 at 12:55 AM. Which fireplace are you referring to? How many are we talk about?